Vaata kuidas tahad, kõikjal on paradoksid. Need juhivad elu. See teadmine tuleb ajaga. Festina lente. Less is more. Saad kõik, millest loobud. Jne. Karjäärinõustaja Robert Parki artikli võib paljuski paradokside maailma liigitada. Oma positituses annab ta oma konsultatsioonipraksisele toetudes väärtuslikku nõu, kuidas saavutada palgaläbirääkimistel (aga toimib ka mistahes muudes tehingutes, kus eesmärk win-win) parim tulemus ja see on teema, mis puudutab meid kõiki. Kusjuures, nagu ta minu meelest õigesti märgib – eesmärk ei ole saada kõrgeim pakkumine. Me ehitame oma karjääri üks vestlus korraga. Robert Park: The goal in salary negotiation is not to get the highest offer. It’s to get the best offer without compromising your relationship with the employer. There is a difference between negotiating and asking questions. 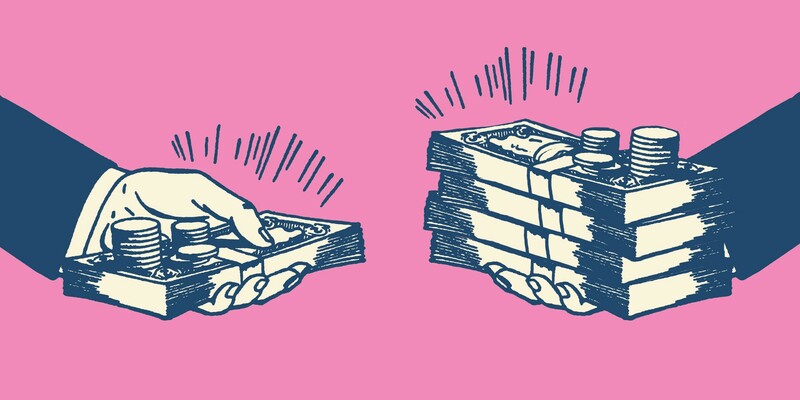 Often a salary offer can be increased by asking the right questions rather than countering. For example, you can let them know that the offer came in lower than you expected, and ask if there’s room to increase the base salary. Or, you can ask if the scope of the role could be increased to justify higher compensation. Asking questions make the conversation feel more collaborative — you and the recruiter are solving a problem together. Research shows that whoever puts the number on the table first will get the best deal; however, in reality this isn’t always the case. Going first comes with risk (you risk being eliminated from the opportunity if you ask for too much, and you risk limiting your earning potential if you ask for too little). Candidates should weigh their own risk tolerance for elimination or limitation. For example, unemployed candidates may prefer to let the employer go first since the risk is much greater, while employed (and passive) candidates should put the number on the table before the employer. Drawing a hard line rarely works. Concept of “tentative talk” versus “assertive speak” is much more effective than the latter. More collaborative approach to negotiation, allows to achieve better results. If you’re nervous about standing up for your salary requirements, the “agency approach” can work well. Agency is simply removing yourself as the principal — you’re not negotiating for yourself, you’re negotiating for your family. When you think about other when negotiating, you’re often more likely to fight harder. It is possible to be paid too much. The more you make, the more the employer expects and your risk of failing to deliver on expectations increases significantly. It is far better to negotiate a fair salary for all parties involved and then earn the rest. Posted in Tööelu. Bookmark the permalink.